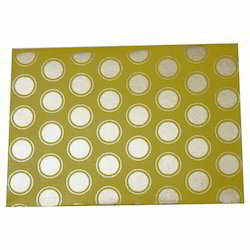 This Printed Envelope comes in multiple designs and can be used for various occasions. We are offering the envelopes for the purpose of the speed post as well as currier services. Avyaye creation brings you a awesome range of sagun envelope, brocade envelope. Sagun lisas lifafa for every occasion like-Wedding, Reception, Sagai, cocktail, birthday, teej, rakhi, bhaiya dooj, diwali, navratre, new born baby, marriage, eid and corporate bonus. 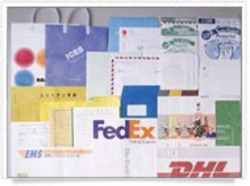 we offer different kinds of envelopes for different purposes. Envelopes manufactured by us are purely of handmade papers and have beautiful embossed prints. These are available in various color and design. Our envelopes are properly pasted due to which they can easily carry the load of a bit heavier objects. According to the orders, we prepare customized envelopes – white, thin & thick, Color, Cloth Covers, Laminated, Bubble lined Envelopes, Plastic Envelopes & Other Security Envelopes of Special Quality, with security seal & unique sequential number & Bar – Coding. (Very useful for sending important documents abroad safely and intact). DuPont™ Tyvek® envelopes are made from DuPont™ Tyvek® brand protective material, a material so strong and durable, it easily withstands the most grueling conditions.